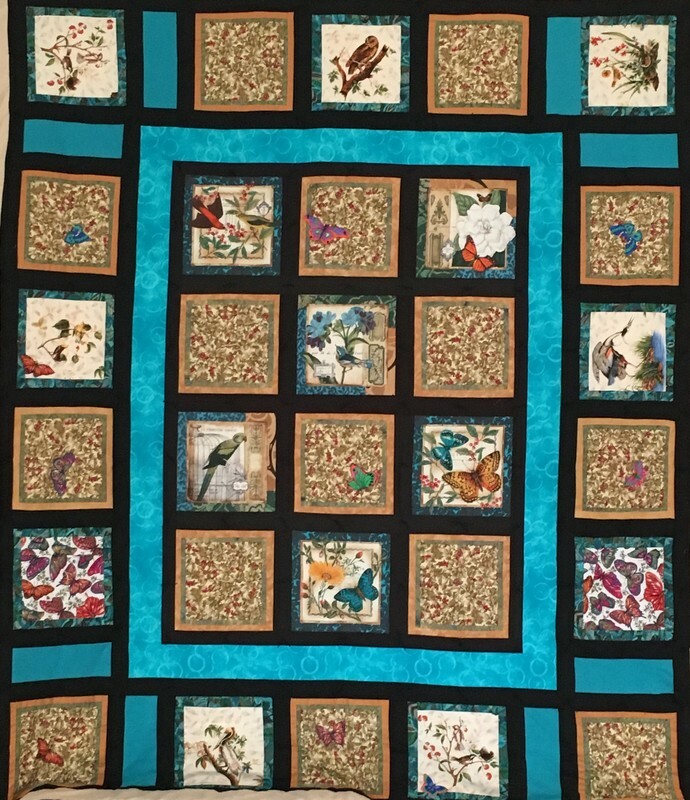 The "Bali Ha'i" quilt that will be raffled this year as part of our annual Gala fundraising festivities was generously made by Nancy Colket, longarm quilted and backed by Mona Jones & friends from Sew This! Quilt Shop, and lovingly finished by Sharon Mathews Wood. This is a 100% cotton batik quilt of handmade, block printed Bali tiles with multi-colored background. It measures 95" x 105" and fits queen-king. The quilt winner will be chosen at the Women's Center's 6th Annual Gala Event, "Southern Nights" on April 7 at Abita Springs Town Hall. The winner need not be present. This stunning item was completed as a labor of love – all volunteer – and all donated. The quilt is now on display in the Great Room at the Women's Center. Come by and see it for yourself! Admission Tickets for our April 7 Gala Event "Southern Nights"